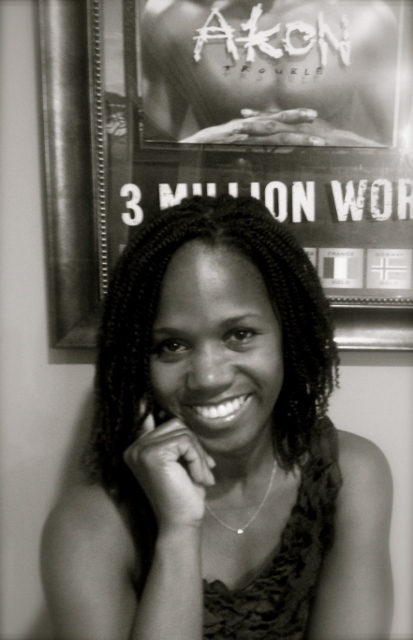 Shirronda Sweet is an independent multi-media consultant and media relations specialist. She started her career as a music charts researcher at Cashbox magazine in L.A. and after several years, ended up moving to New York City to take a job as an assistant at an independent PR firm, Gallagher Communications. While there, she worked her way up to the title of publicist, handling projects with artists and acts including Master P, Big Mac (Biggie Smalls/Craig Mack), P-Diddy and Russell Simmons. Her success led her to Interscope Records, where she became a publicist for No Doubt and Blackstreet. She then headed to Motown Records, where she was eventually named senior director, leading campaigns for 98 Degrees, Nelly, Erykah Badu, Akon, Stevie Wonder, Brian McKnight and many other R&B and pop acts. She now runs her own company working with musicians across urban, R&B and pop genres. I spoke with Shirronda about her diverse experiences and building a strong music PR campaign. She also shared some valuable tips about how artists can successfully release their music and other content and present themselves well to the press. Thanks so much for taking some time to talk, Shirronda. How did you get into the music business? I started off on a track to live in California, working at Cashbox magazine as a charts researcher, but I decided I didn’t like California much anymore after an earthquake happened. I reached out to a couple people I had met through the work I was doing. I told Serena Gallagher, a music publicist in New York City that I really wanted to come back to New York, but she told me she couldn’t help me until I moved back. I had never met her in person and basically knew her through talking to her on the phone about artists of hers that were on the charts. I met her in person when I got back to New York, and we hit it off. She eventually helped me get a job at her company Gallagher Communications. I started doing publicity from then on. I’ve worked at a lot of different companies over the years. I started as an assistant to an aspiring music industry executive. But the record he put out never took off, so I started working with Serena as a volunteer helping her out with her business and eventually worked my way up to a junior publicist. One of the first jobs she gave me was working with Master P, who had that independent song out called “Ice Cream Man.” No one expected it to do so well. Back then, he was selling records from his car, which was a totally new concept, and he wasn’t being tracked by SoundScan, so no one knew how big the record would get. She taught me how to make the calls, send the records and be persistent. I started getting him placements, and the ball started rolling. He started putting his records in the stores, and he took off. After I successfully handled project by myself, Serena promoted me to a publicist, and I worked with a lot of hip hop before I moved onto work with R&B and pop acts. I worked with her on projects like the Big Mac, which was Biggie Smalls and Craig Mack’s project. Gallagher Communications was an independent PR firm and was dealing with a lot of smaller artists when I first worked there; the songs weren’t as big. Then, Puffy hired her to do PR, and the campaigns started growing. That was when the majors got more involved with her company and were willing to invest and keep following up on these records. I also worked with Russell Simmons on his Def Comedy Jam show. How did you make the transition into the major label system? Serena closed her company and went to Motown Records. I had met a lot of people in the industry during the time I worked with her, and someone told me that Beverly Page needed an assistant. She was a publicist and senior VP at Interscope Records, so I decided to move over there. At the time, I really liked doing publicity, but all my experience was working at an independent company. Although a lot of the songs I had worked on were big, they weren’t attached to a major label. The majors didn’t look at the independent companies with real respect, especially not back then, so I realized I was going to have to start from scratch. Beverly Page originally wasn’t looking for an assistant, but I’m a persistent chick. I saw that she was incredibly busy, so I just started picking up her phone for her and taking notes and messages while she was busy with artists. She was incredibly appreciative for the help, and I had basically shown her why she needed an assistant. So, you created your own job. Yes. And that was when I got into R&B and pop music. I worked with No Doubt, Blackstreet. She was the publicist, so I initially acted as her assistant. But she started giving me more responsibilities as time went on. And because I had worked at an independent company, I knew how to do everything attached to publicity really well. Beverly always said that when she hired me, she got two in one: a publicist and an assistant. What she didn’t have time to do, she would pass along to me. For example, when she had to contact a lot of major publications, she would let me handle the smaller ones. That was how No Doubt came along. When she went on maternity leave, I ended up taking over a lot of the projects. And Theresa Sanders, who is now an independent publicist, came on board to fill Beverly’s shoes. I still work with her to this day. After a while, I left Interscope and went to Motown. I started out as a publicist, then became a director and then a senior director and worked with 98 Degrees, Nelly, Erykah Badu, Akon – with his very first project – Stevie Wonder, Brian McKnight and a bunch of other pop and R&B acts. And then you started your own company. I would love to know your insight on what it is about the artists you’ve worked with – whether independent or on major labels – that made them press worthy. What should artists be thinking about and getting organized when they are working on getting press for themselves and their music? First of all, you have to have a personality. It’s hard to tell someone, “Have a personality.” But artists need to be able to talk about the things they like without getting too personal. I think getting too personal is what kills the superstar status. A superstar is someone who you feel is a little bit unattainable and on a pedestal; yet you still feel like you can understand their life experiences and that maybe it’s possible for you to achieve what they have. For example, we feel we know a lot about Beyonce, but there are still certain things she’s very private about. We all loved Michael Jackson in bits and pieces, but there are still things we thought we know that we really don’t know. As an example, when you are an artist, you want to use tools like Twitter, Facebook, Tumblr and Instagram to show fans your new sneakers or your new style. And you also want fans to see you following other people on the different sites that you admire and who inspire you. You need to be able to talk about yourself and what you do as an artist and not just say, “I love music.” There are plenty of people who love music. But why do you love music? How does it truly inspire you and influence you? You have to able to talk about your passion and really show that passion. Right now, there are so many platforms on which to have these conversations and so many more opportunities to talk about your passion than there were 10 or 15 years ago. You have an opportunity to reach so many different people all over the world instantly. And if you don’t have a publicist, you may not be able to do everything a professional publicist can do for you, but you can definitely lay down the groundwork. If you’re an artist and really don’t have the money to hire a publicist, how do you get started and establish a base? I don’t always recommend an artist do what a publicist or a marketing consultant does, because, at an artist, your strength is being an artist. It is hard for an artist to be a business person on his/her project. And somewhere along the way, the process gets convoluted. As a publicist, sometimes you do things for one artist that might not make sense for another artist businesswise. A publicist strategizes. I wouldn’t just say, “I have a friend that works at Rolling Stone magazine, and I’m going to put a story there” when I haven’t laid down the groundwork to get the artist to that level yet. Do very big periodicals look down on small feeder publications? Do you have to lay the base at the lowest level before you can get to the next level up and so forth? Well, magazines like Rolling Stone, Spin and People are not looking at your hometown paper. The only thing they want to know is whether or not you have a following. They will pay attention if all of a sudden they see people requesting and talking about an artist. Back in the day, publicists would have clips. Every time an artist did something in a magazine or newspaper, we would cut it out, put it on a piece of paper with other clips and make it look pretty. Then we would send a package out with the clips, a photo and a bio. Once other magazines saw that, they would think, “Wow. They have a lot of different stories out there. Now they are worthy to be in this publication.” It shows the artist has experience. You don’t just suddenly decide to try to get into People magazine when you haven’t even been interviewed by smaller publications. You can’t move through the process too quickly. There is definitely a skill to being able to talk to the media. What are some of the basic “do”s and “don’t”s of media training? How can you speak to people in the press when an interview comes up? Every artist is different and has different strengths when it comes to talking to the media. There are some artists that just have “it;” when they get in front of a camera, something just clicks, and they know how to work it. They look right into the camera and are dazzling. And often when the camera goes off, they are a completely different person. That being said, there is a major difference between a TV interview, a radio interview and a print interview. For example, when you are participating in an on-camera interview, you have to find a way to connect with the person that is interviewing you and also with the audience you can’t see. Are there interview “don’t”s that apply for artists across the board? I’m not a fan of airing your dirty laundry. It always comes back. I am always reminding artists that they need to behave as if they are on a pedestal. The world doesn’t need to know all the details about who put you down throughout your life as you were trying to succeed. And I go back to Beyonce as an example, because I think she is a real superstar. She isn’t putting anyone else down. It doesn’t matter who put her down in her life, but she’s not putting those people down publicly. That makes us have empathy and sympathy for her. Can you point to some of the specific things artists who have handled press really well in the past few years have done? There are a lot of artists out there that do really well. I think the ones who do best are those who have really taken negatives and turned them around. They are able to be true to their identity as an artist and not give into celebrity and fame. There are people who are famous and then people who are just stars. There’s a big difference. Are there any artists you feel have done particularly poorly with press? Chris Brown and Justin Bieber. They just need to just stop and regroup, figure out their goals and what they want to get out of communicating with the press. Artists like this need to reconnect with how they got to where they are. When you are a huge artist, after a while, you start to feel like you’re untouchable. Everybody that is around you is telling you, “You’re perfect. You can’t do anything wrong.” You hear it so much from everybody, eventually you believe it’s true. Just to switch gears, talk to me about which tools are helpful for artists that are just starting out on the indie level and doing their own publicity or working with a publicist. Information about the artist is important. That can be a bio or a tips sheet – something to give important information about an artist. You also need photos. You need not just press photos, but candid photos of an artist that you can send out to different outlets. Word of mouth is huge today. I firmly believe in starting out with the small publications and outlets first. People are definitely reading their hometown papers. You have to have a following in your hometown. It’s critical. I don’t know too many people who didn’t have their hometown locked down before they made it huge. You have to start out in your own area performing. I see a lot of artists making a record, taking press shots, doing a video and then shot gunning everything out the door. I know every artist is different, but is there a good way to stagger the release of your new content? You say “stagger,” but I call it “domino:” One thing leads to another thing, which leads to another thing. Once you hit the first domino, and everything else starts to fall down right in a row is when you have a great campaign. And this campaign doesn’t solely come from the publicity side; you need marketing, sales and promotion to all be in place and perfectly lined up. You get the photo, the music and some information about you together and service it out to different places. But if you have five photos, don’t service out all five. You want to save some things for exclusives and specific publications. And also, not all publications want the same type of photo. Some of them like standard shots, others like candids. It is so important to tailor your approach so the materials are getting through to the publications and people you’re sending them to. You have worked in both urban and pop/rock PR. Is there a big difference between doing PR for the two genres? There is. Rock artists are on tour a lot more than other types of artists. Back in the days of the old Motown, R&B artists were always on tour too. They were doing publicity and marketing like rock bands do now, and it kept them on the road, because, there is no press like having press in each market you’re visiting. It means you’re always being discussed. You have a lot more mainstream opportunities for placements when you are a pop artist than you have if you are in rap. Unless you are a huge rap superstar, you’re not going to be able to get into some of the mainstream outlets. You find yourself a little behind. But there are still so many urban sites to go to. But the numbers are just not as big as with the mainstream. As a publicist, I need to get 10-15 of these smaller outlets to equal one major outlet in pop or rock. You’ve been in the business for quite a while. Do you have any parting words of advice for artists? Artists need to learn the industry and know what it takes to be in it. It looks so good on the outside, but once you’re in it, you realize just how important it is to know the business. So many people have been burned because they didn’t know, and others took advantage of that. You need to understand what goes into the business of running your career, from what a publicist does to what a publishing company does and how to work marketing and sales. Also, a lot of artists think, “I’m going to make a lot of money.” But you just can’t be involved with music for the money. You have to be in it for the love of music and what you do. Then, it’s not so hard to accept the punches that will come at you because you are in this industry. To learn more about Shirronda Sweet and the work she does with artists, check her out on LinkedIn. You can also follow her on Twitter. ← Which Music Library is Best?